Get a customer loyalty app for your business and boost customer retention and grow your revenue. 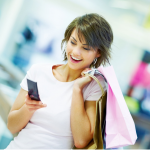 Your app comes complete with an automated loyalty rewards and punchcard program. It’s by far the easiest thing you’ll do to grow your business and build long-term relationships with your customers. Sign up now and get your first 30 days absolutely free! There’s no long-term contract and you can cancel at any time.